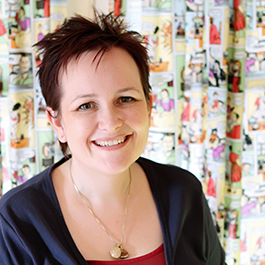 This pattern hack is an additional adaptation to the Darling Daisy Bag. 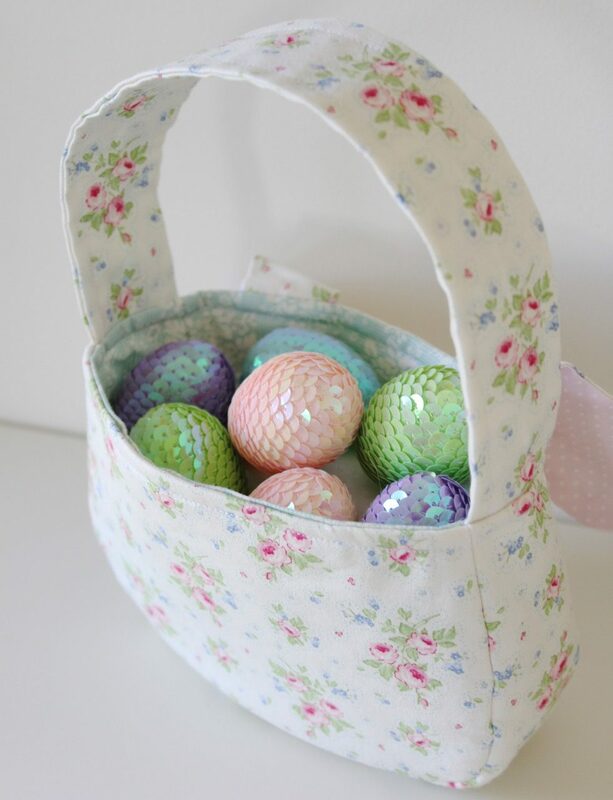 You’ll need the Darling Daisy Bag PDF pattern for complete instructions and the full template. 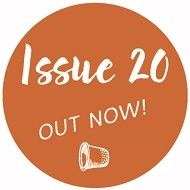 You can purchase the pattern in the Molly and Mama store – http://www.mollyandmama.etsy.com or you might already have it as part of One Thimble Issue 12. 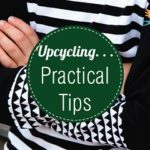 Be sure to read the pattern from beginning to end before starting. 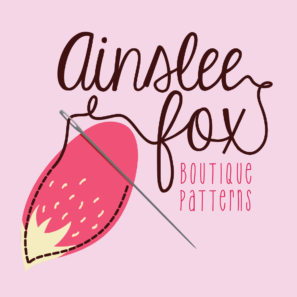 This pattern is perfect for confident beginners. 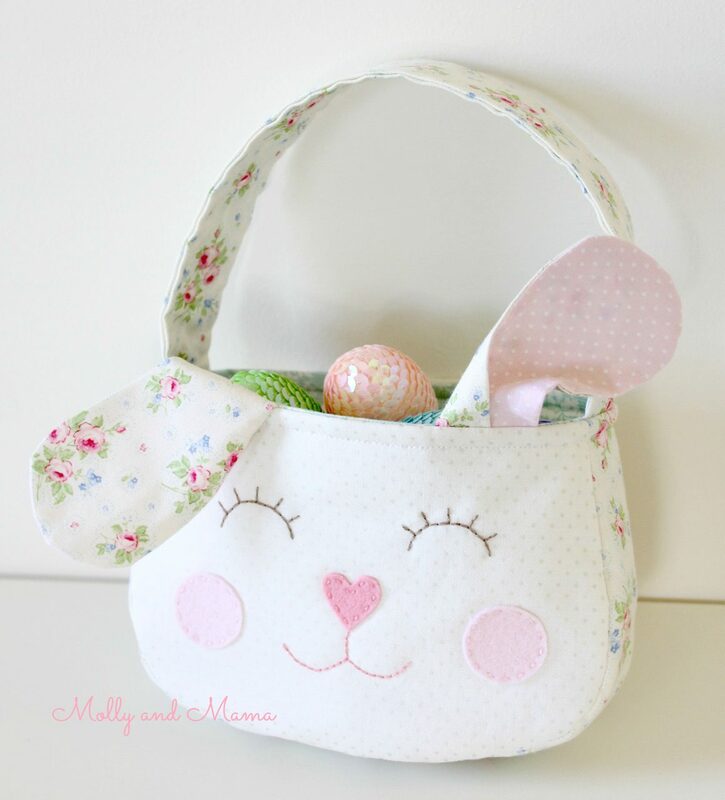 You will learn how to add a bunny face onto the Darling Daisy Bag to create a cute Easter gift. 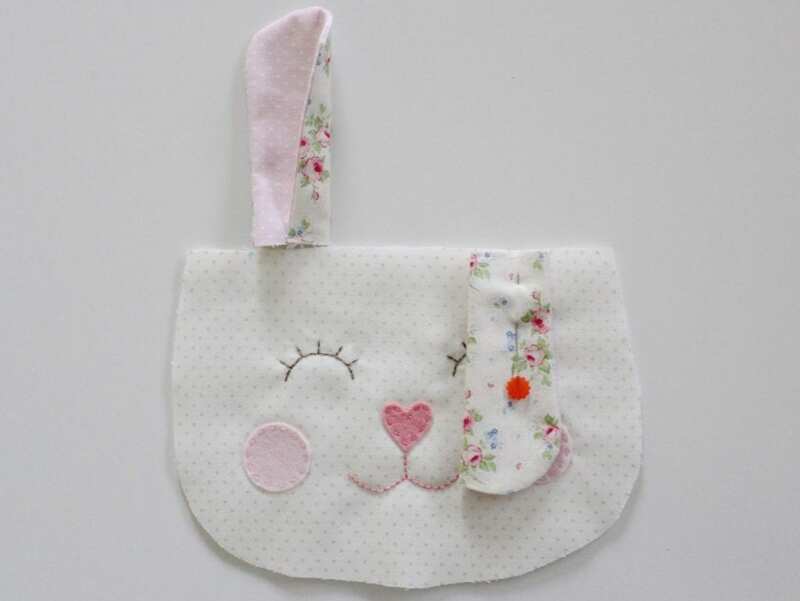 The felt appliqué shapes on the bunny bag are secured with running stitch. Use back stitch for the embroidered mouth and eyes. Print your Bunny Bag template in full size without any scaling or cropping. After printing, ensure the bunny bag shape has printed at the same size at the Darling Daisy Bag shape. 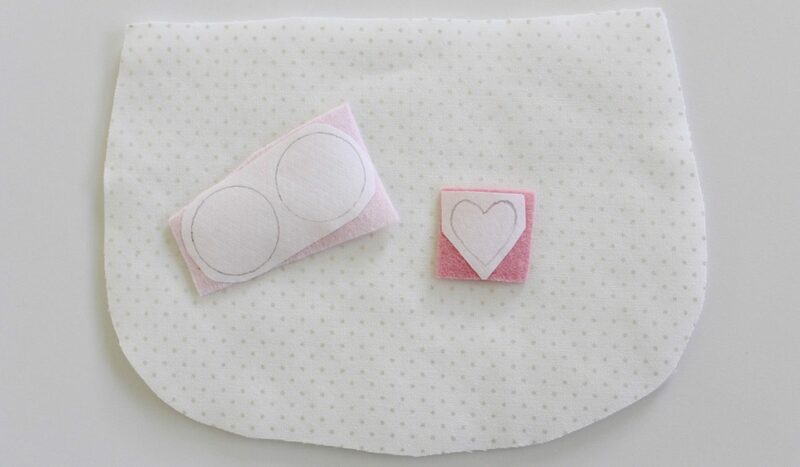 Use the instructions in the Darling Daisy Bag to cut out and prepare all of your bag pieces. The only change to the pattern is that one of the outer bag pieces will become the bunny face of the bag. 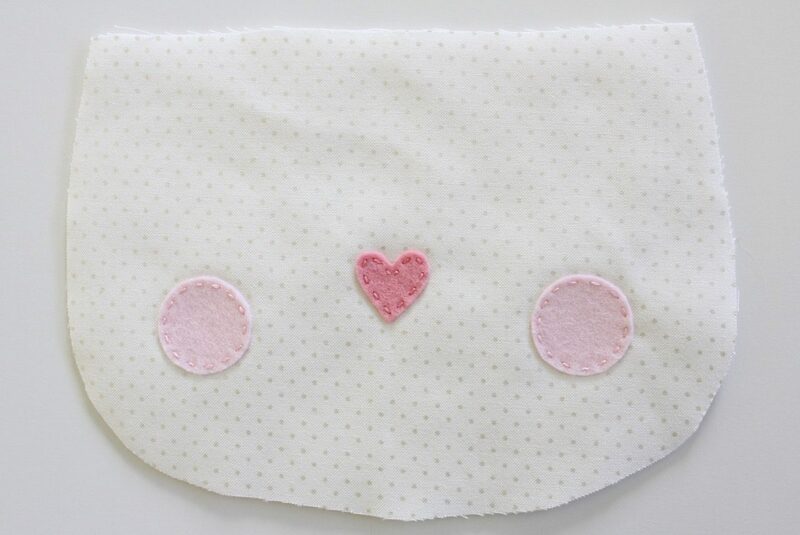 Use a plain or low volume fabric for this piece and secure fusible fleece to the wrong side. Put the bag pieces aside for now, so we can concentrate on making the bunny face. 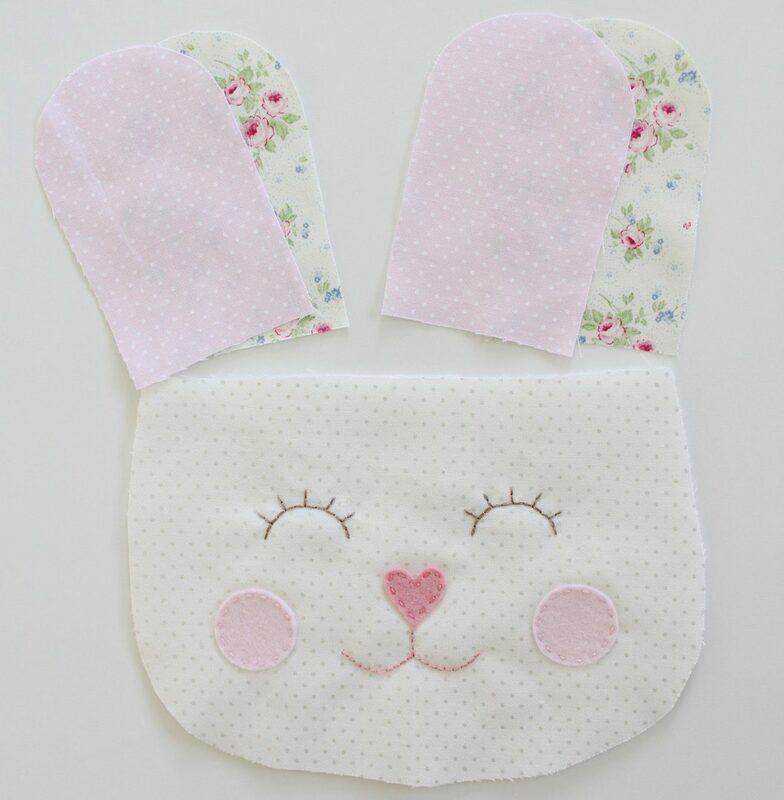 Use the bunny bag template to cut out one bag side (from plain or low volume fabric) and one piece of fusible fleece. Follow the manufacturer’s instructions to fuse the fleece to the wrong side of the fabric. This will be referred to as the bunny face. Trace the bunny bag template and facial details onto tracing paper. Cut out the template on the line. 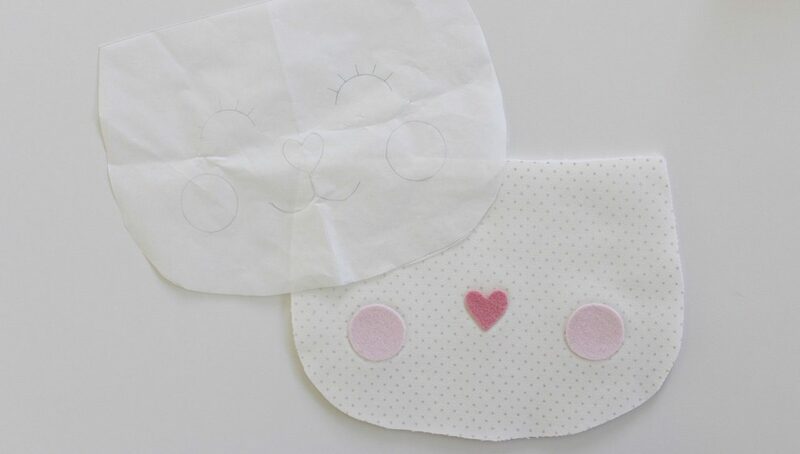 Trace the cheeks and nose shapes onto the paper side of the fusible appliqué web and roughly cut around the outside of each shape. 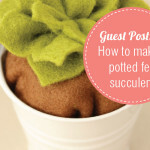 Use a warm iron to press the fusible web onto the felt (being sure to cover the felt with a press cloth or scrap of fabric to avoid damage from the heat of the iron). Cut out the shapes on the line and peel off the backing paper. 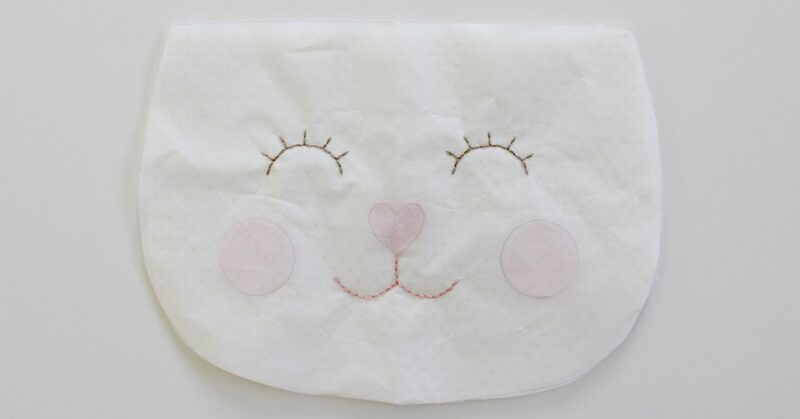 Use the tracing paper template placed over the bunny face to determine the placement of the cheeks and the nose. Remove the paper, cover the face with a press cloth, and iron the felt pieces in place. 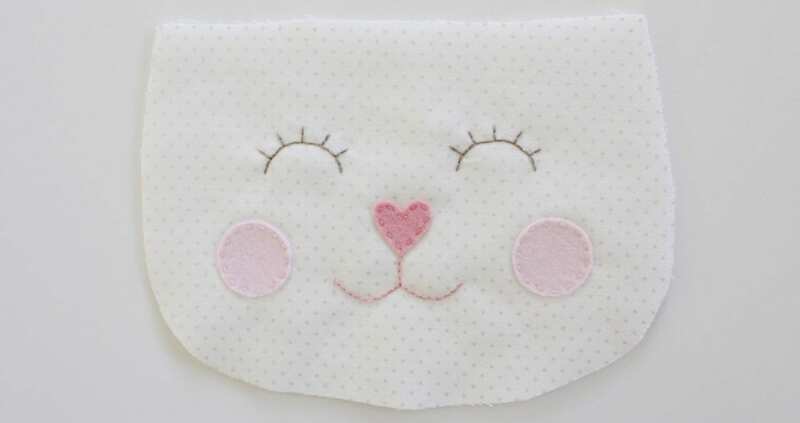 (Be sure the webbing side of the felt is facing the bunny face fabric). 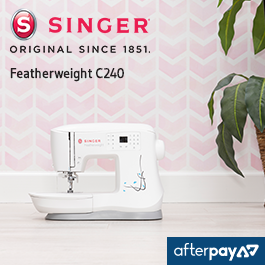 Thread your embroidery needle with two strands of embroidery floss in a colour to match your felt. Sew around the outside edge of each shape with running stitch. 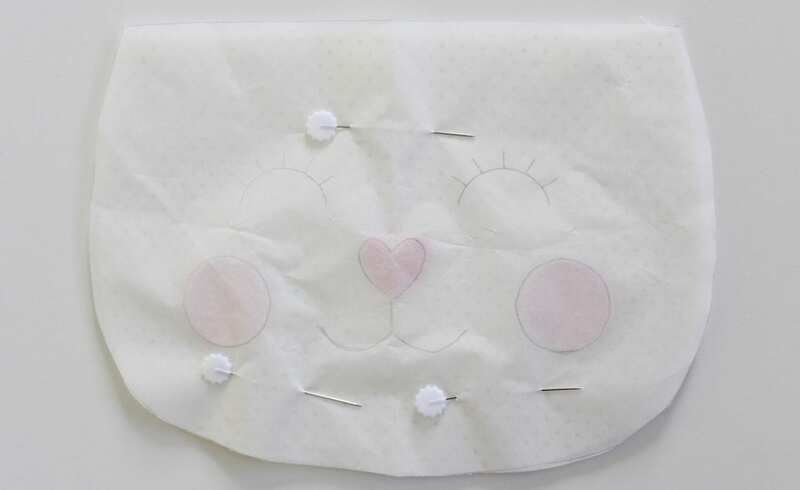 Pin the tracing paper template over the bunny face, lining up the nose shape and cheeks. Thread your needle with two strands of pink floss. Back stitch the mouth embroidery directly through the tracing paper, being careful to follow the drawn lines exactly. Change your floss colour to light brown and then back stitch the eyes and eye lashes using the same method. 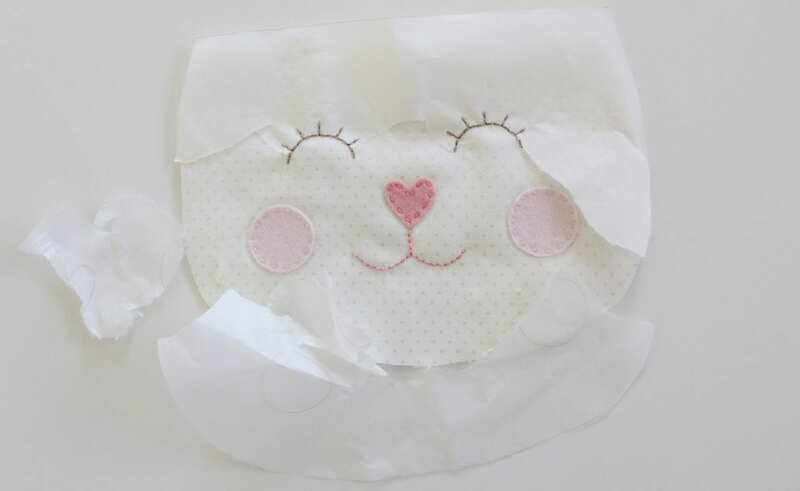 Secure your stitches well at the back and then carefully tear the tracing paper to remove it from the face. Hold the stitches as you pull, so as not to damage them. Use a needle to tease any stray bits of paper out from under the stitching, if necessary. The completed face will look like this. Now it’s time to make the ears! You may like to create your own template for longer ears, or ears with points. I’ve made mine short and rounded so that they don’t get in the way of any egg collecting fun to be had! Cut out the ear template on the line. Pin the template to the inner ear and outer ear fabric and cut out two pairs of ears (each with pink or bag lining fabric for the inner ear and outer bag fabric for the outer ear). Please note: These ears will be soft and flexible so will hang over your bag when finished. If you would prefer to have ears that are firm and stand upright, press a piece of medium weight fusible interfacing to the wrong side of the outer ear fabric before cutting out the ear shapes. Place the pairs right sides together and pin. 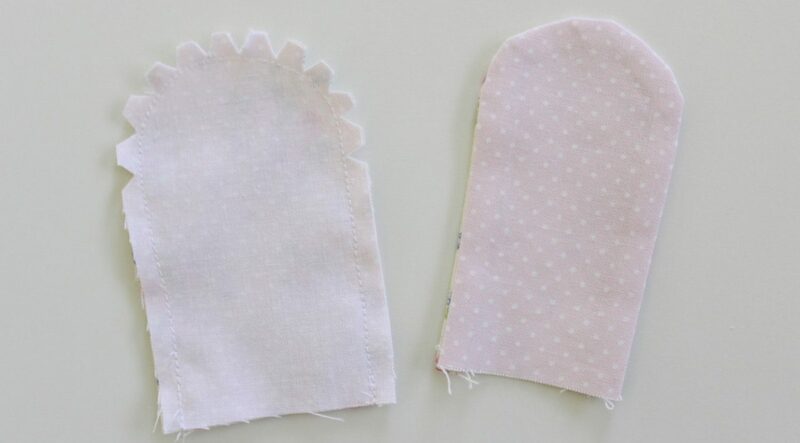 Sew around the outside curved edges of the ear shape, using a straight stitch and a ¼” or 5mm seam allowance. Leave the straight side on the bottom open for turning. Cut notches out of the curved tops of the ears, before turning them right side out and pressing them flat. Place the ears side by side. Fold the inside edge of each ear over along the base (so that the edge is near the centre of the ear). Use a few small stitches to baste the fold in place. Make sure the folds are opposite on each ear! Measure about 1” (2.5cm) in from each side of the top of the bunny face and make a mark. Place the outside edge of each ear at this mark and then pin the ear in place (so that the ear is facing down, and the raw edges of the ear line up with the raw edges of the top of the bunny face). At this stage, you may wish to angle the top of the ears so that they sit slightly sideways when in the seam. That way they’ll fall sideways away from the bunny face when the bag is complete. Baste the ears in place using a scant 1/8” (3mm) seam allowance. Keep the ears facing down while you assemble the rest of the bag (being sure to keep them away from any seams). Use the instructions included in the Darling Daisy Bag pattern to sew the rest of the bag together. Please note: When assembling the bag you will sew around the top edge of the bag. Be sure that the gap you leave in this top seam is on the back of the bag (the part of the bag that is opposite to the bunny face). When the bag is complete, let your bunny ears flop over and then press them on an angle so that they don’t get in the way of any egg hunting and bag filling! 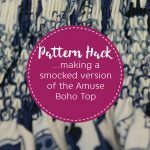 This pattern hack is for personal use only. I’d love to hear your feedback on Molly and Mama patterns. Please email Lauren at: MollyandMama@gmail.com. And feel free to share your creations on the Molly and Mama Facebook Page: www.facebook.com/MollyandMama. Use the hash tag #MollyandMama on Instagram – www.instagram.com/MollyandMama. See more patterns at: http://www.MollyandMama.etsy.com. 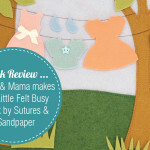 Find lots of free tutorials and more, over on the Molly and Mama blog: www.MollyandMama.com.au. 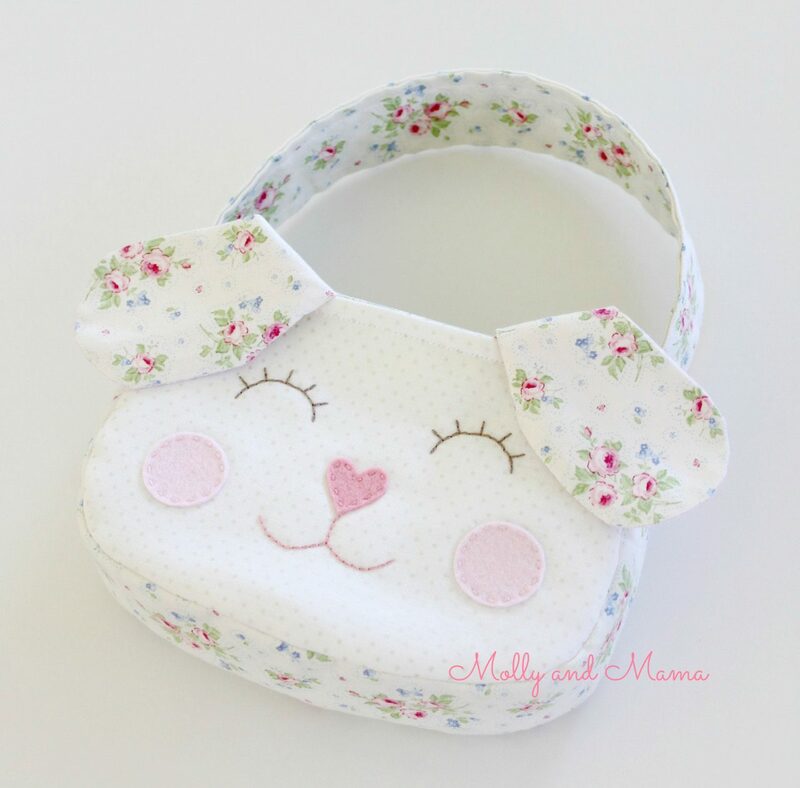 Thank you for choosing a Molly and Mama pattern. 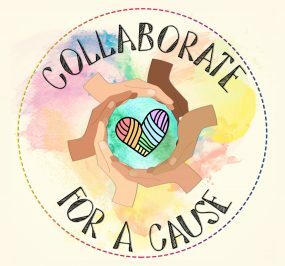 I hope you have fun making and creating with it!